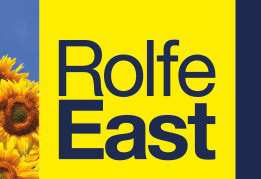 Who we are – Rolfe East (Letting & Management) Ltd and Rolfe East (Sherborne) Ltd who we refer to as RE hereafter. We, RE act to ensure your privacy is protected and this document aims to describe how, when and what personal data is collected and how we may use this information. This is any information that identifies you, personally e.g. Your name, address, contact details (phone, email etc. ), date of birth that would enable anyone to identify you personally. There are other types of information considered to be 'Special Data' , e.g. Ethnic origin, religious beliefs, sexual orientation. RE does not collect or store any data in this category..
We will regularly collect your full name and contact details (such as phone number, email address and postal address) usually from the point of first contact with us. If you are a client and we are providing a service to you, we may legally be required to collect information relating to your identity, which will be at least one form of photographic identification (such as a passport, a driving licence or an identification card) and one form of documentation with proof of your place of residence (such as a recent utility bill). We will collect telephone number(s), email address etc. to get in touch with you to ensure we can make viewing appointments, provide feedback, discuss marketing, negotiate offers received etc. in accordance with the contract we have entered into. If you are not the legal owner of a property, we will require suitable legal documentation supporting your right to act in the sale or let. This may be as a Power of Attorney, Guardianship Order or Grant of Probate. Information relating to your ability to proceed to purchase without delay e.g. Information of any related sale, your Estate Agent's contact details, mortgage broker and Solicitor. For RE legitimate business interests. This may include sending you marketing information to promote our brand or services, sending you details of properties that may meet your requirements, sharing of property market news/information that you may find of interest, contacting you to ensure our information is accurate and up to date. You have the right to opt out of any or all communication at any time unless our actions are necessary to fulfil our contractual obligations to you, as a client. When buying through RE, sharing your personal information with solicitors appointed in the transaction and other estate agents within the 'chain' that your purchase lies. In the event of any complaint, we may also be required to share your personal details with the Property Ombudsman service. Where our clients are new homes builders/developers we may share your personal information to these clients and/or Financial Advisers acting alongside/with these clients as per our contractual obligation to such clients. If we sell any part of our business your details may be disclosed to our advisers and to our prospective purchasers and their advisers. If this occurs the new owners of the business will only be permitted to use your information in the same or similar way as set out in this privacy notice. Where we use third party services providers who process personal information on our behalf in order to provide services to us. This includes IT systems providers and IT contractors as well as third party referencing or screening agencies for the purposes of the prevention and detection of crime and protection of our client(s) interests. This currently includes Microsoft, for the purpose of email services and Webdadi Ltd for client management systems and website provision and hosting. We may share your personal information with any person working within RE on a need to know basis to ensure we are able to perform our obligations to you. We will hold your personal information on our client management systems and use this to provide you with marketing information about similar services offered RE to those which you have engaged us to provide which we feel you might find useful from time to time. You have the opportunity to opt out of receiving this information at any time. Where we use your information for our legitimate business interest and for marketing of services/products, your information will be shared with Modern Day Marketing Ltd. (our marketing contractors) purely for this purpose. Our client files are stored on our secure client management systems (currently Webdadi). Access is restricted on our client systems to those within the business who are required to have access to your information for legitimate business purposes. Data is stored on Webdadi's cloud based servers located within the EU. Hard copy documentation is stored in cabinets which are locked outside of usual business hours. All data is hosted in EU datacentres which have systems and protections in place to protect against both unauthorised access, and other external factors that could cause damage to your personal data. There are strict access requirements in place and access is restricted to those absolutely necessary. The period for which we will keep your personal information will depend on the type of service you have requested from us. The retention period may be longer than the period for which we are providing services to you where we have statutory or regulatory obligations to retain personal information for a longer period, or where we may need to retain the information in case of a legal claim. Also, where we have legitimate business interest in marketing our services to potential future clients, your data will be retained unless you choose to opt out of receiving such marketing.